Match ends, Valencia 2, Las Palmas 4. Second Half ends, Valencia 2, Las Palmas 4. Attempt blocked. Shkodran Mustafi (Valencia) header from the centre of the box is blocked. Assisted by Zakaria Bakkali with a cross. Foul by Paco Alcácer (Valencia). Montoro (Las Palmas) wins a free kick in the defensive half. Attempt blocked. Sergio Araujo (Las Palmas) right footed shot from the centre of the box is blocked. Assisted by Marko Livaja. Attempt blocked. Rafa Mir (Valencia) header from the centre of the box is blocked. Assisted by Zakaria Bakkali with a cross. Marko Livaja (Las Palmas) is shown the yellow card for a bad foul. Zakaria Bakkali (Valencia) wins a free kick in the attacking half. Foul by Marko Livaja (Las Palmas). Goal! 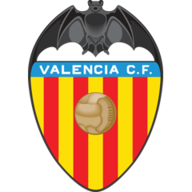 Valencia 2, Las Palmas 4. Marko Livaja (Las Palmas) right footed shot from the right side of the box to the bottom left corner. Assisted by Sergio Araujo following a fast break. Corner, Valencia. Conceded by Míchel Macedo. Substitution, Valencia. Rafa Mir replaces Enzo Pérez. Foul by Sergio Araujo (Las Palmas). Attempt missed. Enzo Pérez (Valencia) right footed shot from outside the box is high and wide to the right following a corner. Corner, Valencia. Conceded by Momo. Substitution, Las Palmas. Sergio Araujo replaces Jonathan Viera. Attempt missed. Álvaro Medrán (Valencia) left footed shot from the left side of the box is high and wide to the right. Assisted by José Gayá. Shkodran Mustafi (Valencia) wins a free kick in the defensive half. Attempt missed. Daniel Parejo (Valencia) right footed shot from outside the box is close, but misses to the left. Assisted by José Gayá. Zakaria Bakkali (Valencia) wins a free kick in the defensive half. Foul by Dani Castellano (Las Palmas). Foul by Álvaro Medrán (Valencia). Javi Varas (Las Palmas) wins a free kick in the defensive half. Attempt missed. José Gayá (Valencia) right footed shot from the centre of the box is just a bit too high. Assisted by Zakaria Bakkali with a cross. Foul by Enzo Pérez (Valencia). Jonathan Viera (Las Palmas) wins a free kick on the left wing. Álvaro Medrán (Valencia) is shown the yellow card for a bad foul. Jonathan Viera (Las Palmas) wins a free kick in the defensive half. Foul by Nabil El Zhar (Las Palmas). Paco Alcácer (Valencia) hits the bar with a right footed shot from outside the box. Assisted by Santi Mina. Attempt missed. Marko Livaja (Las Palmas) right footed shot from more than 40 yards on the right wing misses to the right. Assisted by Momo following a fast break. Substitution, Valencia. Zakaria Bakkali replaces Martín Montoya. Offside, Valencia. João Cancelo tries a through ball, but Paco Alcácer is caught offside. Momo (Las Palmas) wins a free kick on the left wing. Substitution, Las Palmas. Montoro replaces Vicente Gómez. Nabil El Zhar (Las Palmas) wins a free kick in the defensive half. Attempt saved. Martín Montoya (Valencia) left footed shot from the right side of the box is saved in the centre of the goal. Assisted by Daniel Parejo. Substitution, Las Palmas. Momo replaces Kevin-Prince Boateng. Attempt saved. João Cancelo (Valencia) right footed shot from the right side of the box is saved in the top centre of the goal. Enzo Pérez (Valencia) wins a free kick in the defensive half. Attempt missed. João Cancelo (Valencia) header from the centre of the box is too high. Assisted by Daniel Parejo with a cross following a corner. Corner, Valencia. Conceded by Javi Varas. Attempt saved. Santi Mina (Valencia) right footed shot from the centre of the box is saved in the bottom right corner. Assisted by Álvaro Medrán. Offside, Valencia. Álvaro Medrán tries a through ball, but João Cancelo is caught offside. Corner, Valencia. Conceded by Pedro Bigas. Corner, Las Palmas. Conceded by José Gayá. Enzo Pérez (Valencia) wins a free kick on the left wing. Second Half begins Valencia 2, Las Palmas 3. Substitution, Valencia. Shkodran Mustafi replaces Rúben Vezo. First Half ends, Valencia 2, Las Palmas 3. Kevin-Prince Boateng (Las Palmas) is shown the yellow card for a bad foul. Álvaro Medrán (Valencia) wins a free kick in the defensive half. Foul by Kevin-Prince Boateng (Las Palmas). Attempt missed. Daniel Parejo (Valencia) right footed shot from outside the box is just a bit too high from a direct free kick. Foul by Jonathan Viera (Las Palmas). Attempt saved. Álvaro Medrán (Valencia) right footed shot from outside the box is saved in the centre of the goal. Assisted by Santi Mina. Foul by Roque Mesa (Las Palmas). Marko Livaja (Las Palmas) wins a free kick in the attacking half. Goal! Valencia 2, Las Palmas 3. Santi Mina (Valencia) right footed shot from the centre of the box to the high centre of the goal. Assisted by Rúben Vezo following a corner. Corner, Valencia. Conceded by Nabil El Zhar. Attempt saved. Paco Alcácer (Valencia) header from the centre of the box is saved in the top right corner. Assisted by Santi Mina with a cross. Goal! Valencia 1, Las Palmas 3. Kevin-Prince Boateng (Las Palmas) header from the centre of the box to the bottom left corner. Assisted by Nabil El Zhar with a cross. 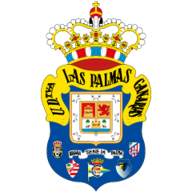 Delay in match Javi Varas (Las Palmas) because of an injury. Kevin-Prince Boateng (Las Palmas) wins a free kick in the attacking half. Marko Livaja (Las Palmas) wins a free kick on the left wing. Goal! Valencia 1, Las Palmas 2. Jonathan Viera (Las Palmas) converts the penalty with a right footed shot to the high centre of the goal. Penalty conceded by João Cancelo (Valencia) after a foul in the penalty area. Penalty Las Palmas. Dani Castellano draws a foul in the penalty area. Attempt saved. Santi Mina (Valencia) right footed shot from long range on the left is saved in the top right corner. Assisted by Aymen Abdennour. Offside, Valencia. Santi Mina tries a through ball, but Paco Alcácer is caught offside. João Cancelo (Valencia) wins a free kick in the defensive half. Marko Livaja (Las Palmas) wins a free kick in the defensive half. Corner, Valencia. Conceded by Roque Mesa. Goal! Valencia 1, Las Palmas 1. Marko Livaja (Las Palmas) header from the centre of the box to the bottom left corner. Assisted by Míchel Macedo with a cross. Foul by Martín Montoya (Valencia). Foul by Vicente Gómez (Las Palmas). Nabil El Zhar (Las Palmas) wins a free kick on the right wing. Foul by Aymen Abdennour (Valencia). Offside, Las Palmas. Jonathan Viera tries a through ball, but Vicente Gómez is caught offside. Hand ball by Rúben Vezo (Valencia). Offside, Las Palmas. Vicente Gómez tries a through ball, but Nabil El Zhar is caught offside. Goal! Valencia 1, Las Palmas 0. Santi Mina (Valencia) header from very close range to the top left corner. Assisted by Daniel Parejo with a cross following a corner. Offside, Las Palmas. Kevin-Prince Boateng tries a through ball, but Marko Livaja is caught offside.